Russia continues to look to international financial markets to raise capital, and so far foreign investors find the offerings very attractive. On March 29, Russia returned to the international capital markets with a $7 billion Eurobond issue that was more than three times oversubscribed. This sale was only the second since the Kremlin suspended debt issuances following the 1998 crisis. It followed a sale of domestic Russian bonds at the beginning of February, which was more than five times oversubscribed, with up to 80 percent of the demand coming from overseas, according to bond traders. In that sale, demand was so high that the Russian Ministry of Finance more than doubled the offering to 35 billion rubles ($1.1 billion). The success of this latest sale only reinforces Russia’s claim to be the most attractive debt market in the world. With more than $500 billion of reserves in the bank, Russia can cover its external debt dollar-for-dollar with cash. However, the solidity of Russia’s financial position is not reflected in the yields. While most developed markets have slashed interest rates to a few percent at best, the Russian sovereign yield of 5.67% on the longest version of the latest bond, which matures in 2042, is very attractive. The relatively low yield was key, as the government’s bond will be used as a benchmark against which to measure prices for a flood of corporate bonds that are expected to follow. The yields on the domestically traded Ministry of Finance bonds, known as O.F.Z.s, are even more appealing, as they carry the highest yields of all major emerging markets. Demand for the O.F.Z. has soared since the start of the year, when foreign investors were given direct access to the domestic Russian bond market following reforms that went into effect in February. The yields of 8 percent in ruble terms and 15% in dollar terms led to these bonds being snapped up by foreign investors. “Even though true liberalization hasn’t happened yet, you can see the effects on the market. Some foreign investors are already accessing O.F.Z.s, and local traders and investors are speculating ahead of the expected full liberalization,” said Dmitry Yakushin, a fixed-income trader at Renaissance Capital in Moscow. The further reforms that will give foreign traders full access to Russia’s buoyant domestic debt market still have a few more hurdles to cross, but the goal is for Russia’s Micex exchange to be hooked up to Euroclear, the main European trading platform, this summer. This will make it possible for foreign traders to buy and sell Russian issues without ever leaving their desks. Reforms and Russia’s solid fundamentals are only two factors driving the booming bond market. 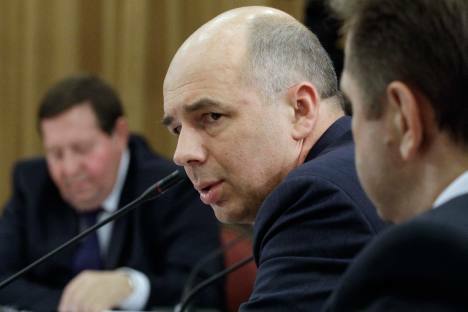 The reluctance of domestic banks to lend to Russian companies along with the state’s policy to push borrowers to borrow at home rather than abroad are both adding to the impetus. The state is looking for more ways to raise money in anticipation of the increased government spending in the near future necessary to carry out many of President-elect Vladimir Putin’s campaign promises. Moscow hopes to borrow a page from Washington’s strategy book and finance government spending through increased borrowing in its own currency. Source: Bloomberg, VTB Capital Research. Click to enlarge. Heavy spending by the state means that the surpluses the government enjoyed in the last decade could soon become a thing of the past. The efforts by the Ministry of Finance to create an efficient debt market are part of a drive to finance the expected budget deficits. Russia plans a net issuance of 1.2 trillion rubles ($41 million) in 2012, larger than the programmed 1.5% of G.D.P. deficit, making Russia the fastest-growing local debt market among emerging economies, according to Morgan Stanley.